TDC International is one of the largest providers of GRP-pipe coating to the pipeline industry and we understand that one of the foundations to our success is quality and continuous development. Our know-how, craftsmanship, and proprietary methodologies differentiates us from our competitors and allows us to consistently provide customers with high quality manufacturing which has assisted in building our reputation. 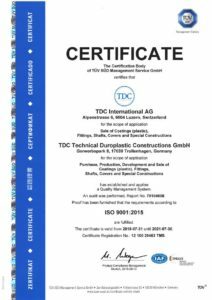 TDC International’s operations have been certified and in compliance with ISO 9001 since 2006. 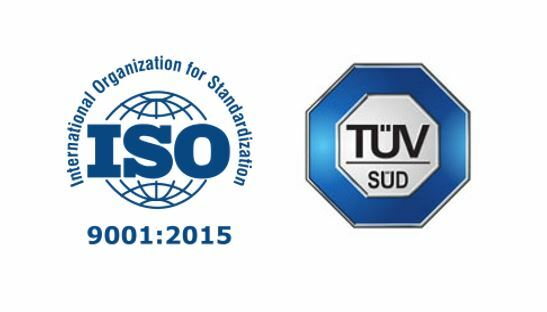 Most recently, TÜV SÜD Management Service GmbH has certified TDC International AG as meeting the requirements of the International Organization for Standardization (ISO) 9001:2015 – Quality Management System.